Why don’t I know anyone who talks about sustainability? The media is full of it. Why I don’t hear more about it from people I actually know? I can’t even remember a time when someone told me they’d specifically chosen a product due to its meagre ecological impact. I must know the wrong people. That said, I’m not sure I talk about it much either. Like so many loathsome, aubergine nibbling, pseudes, I bring it up when it’s convenient. I mention sustainability when I’ve done something that paints me in a conscious light. For example, if I buy a small run, Japanese, handmade, hand-dyed garment, you won’t shut me up about my considerable contribution to the planet’s well-being. All the while simultaneously ignoring the smoke-belching planes and vans used to deliver it to my door. If you give any shape of shits about atmospheric issues you might want to take a look at re.sustain – a new brand from Matthew Murphy of OTHER/shop and Prama Bhardwaj an expert in sustainable clothing manufacture. 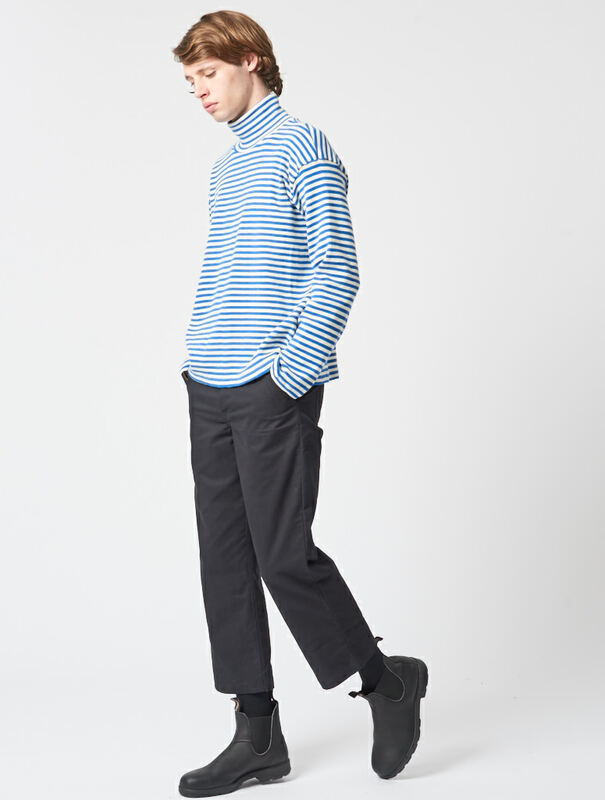 The brand broadly offers a range of basics, via a little of OTHER/Shop’s usual sartorial unorthodoxy. 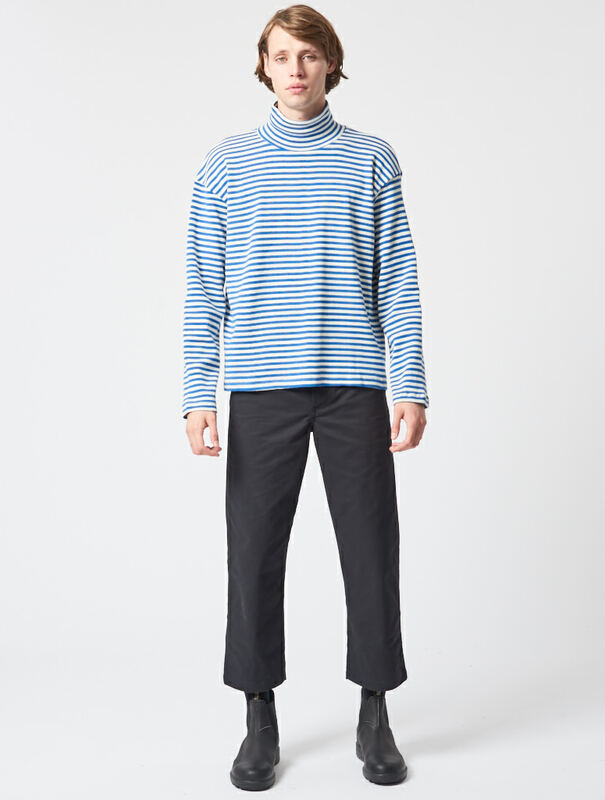 So you’ve got mock-neck tees, short, boxy-cut chore jackets and slightly truncated, pleated work pants – all sewn through with heaps of social responsibility. 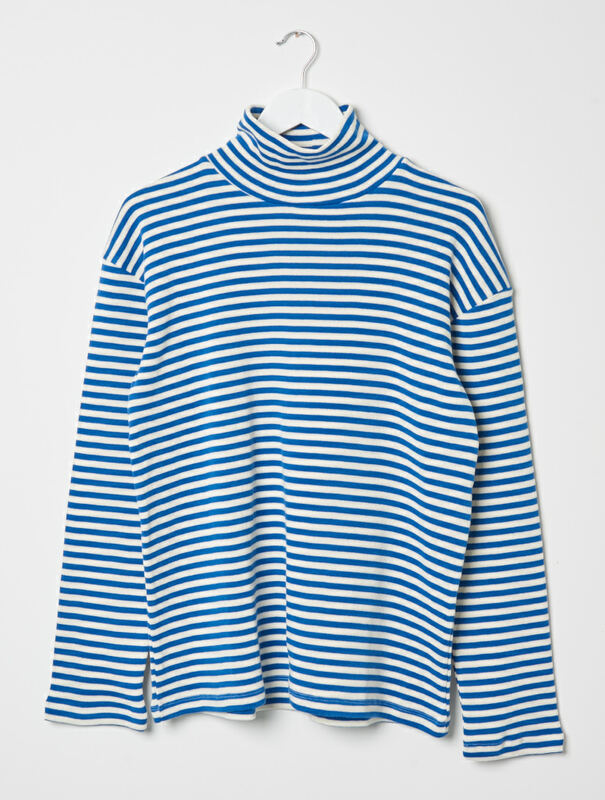 Personally, I’m drawn to this simple roll-neck. 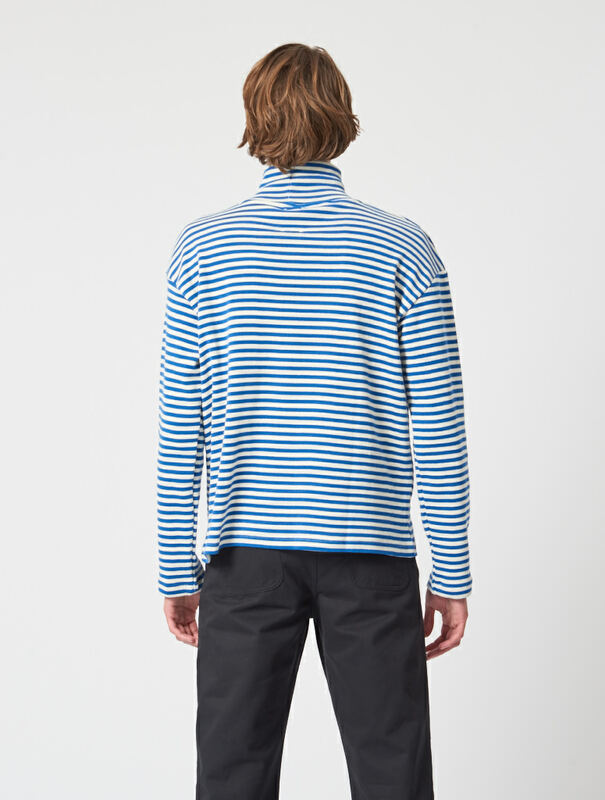 It’s approaching roll-neck season after all and the vibrancy of the blue used here would, I think, distance the wearer from the regular Breton striped flock. I guess the other thing to note about re.sustain are the price points. This piece is just £79. Trousers are around a ton, jackets, a ton fifty. “Price-democratic”, is the term they use. Sustainable clothing at fast-fashion prices – my already significant contribution to ecological preservation just became a lot easier.